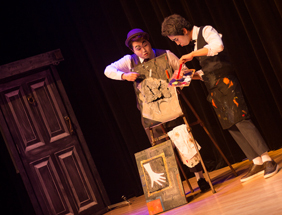 Notice as of 4/9/19: The matinee scheduled for April 10 at 1:30pm will go on as planned. Join the party! 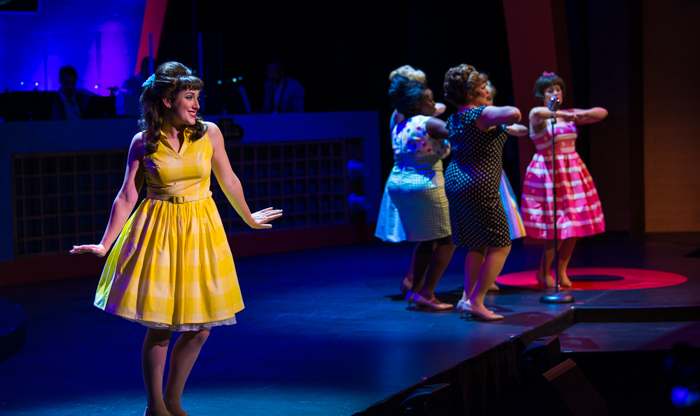 Beehive is a wild toe-tapping, head shakin’ musical tribute to the rockin’ women who made the music of the ’60s so special—everyone from Lesley Gore to Janis Joplin, from the Shirelles to the Supremes, Aretha Franklin to Tina Turner, and every woman in between! 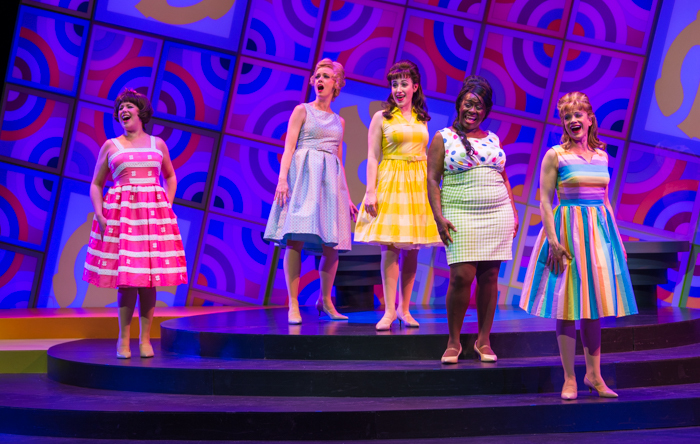 Featuring such timeless classics as “My Boyfriend’s Back,” “Be My Baby,” “You Can’t Hurry Love,” “Proud Mary,” and “Me and Bobby McGee,” Beehive recalls the days of miniskirts, transistor radios, and flower power. 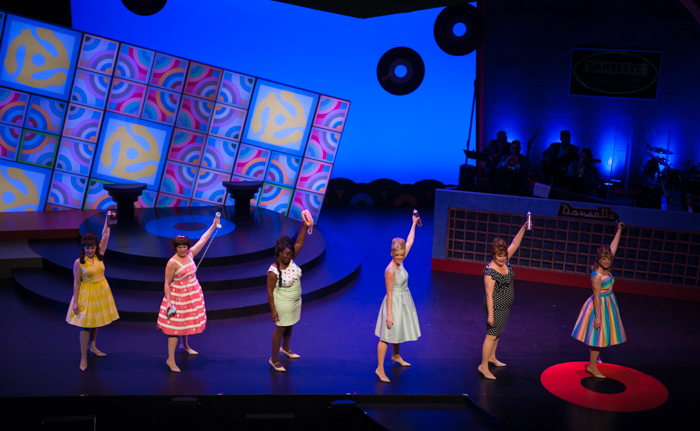 This concert revue will you have you dancing in your seat! Sharon Kay White has performed in theaters and concert venues all over the world. Her experience has allowed her to tour many countries in Europe, and the U.S. twice, and to work in professional theaters all over the country, as a singer, actress and dancer. Locally she has been seen at The Arvada Center, Lake Dillon Theatre Company, The Aurora Fox Arts Center, Country Dinner Playhouse, The Denver Civic Theater, Colorado Springs Fine Arts Center, Cherry Creek Theater and The Lone Tree Arts Center. 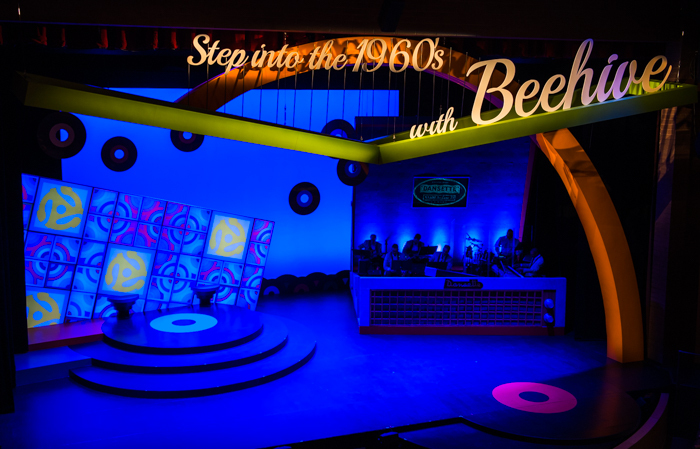 Other theaters include Papermill Playhouse, Cincinnati Playhouse, Repertory Theater of St. Louis, Pioneer Theatre Company, Peterborough Players and Surflight Theatre. Sharon Kay has received multiple nominations and awards for her work in the theatre. Piper Arpan is now a Denver-based director, choreographer, and performer after almost a decade in NYC. LTAC credits include Reunion ’85 (Co-Host), Home for the Holidays, Guys and Dolls in Concert, Ragtime(Evelyn Nesbit), and Dirty Rotten Scoundrels (Renee). Favorite performance credits include Monty Python’s Spamalot(Broadway and First National Tour), The Producers Movie Musical, and Radio City Rockettes. Piper has performed in dozens of Colorado productions including Mamma Mia! 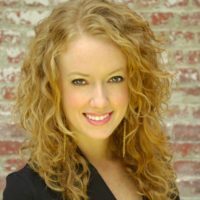 (Tanya) at the Arvada Center, The Wedding Singer (Holly) at the Aurora Fox, and she is currently the assistant director and choreographer of Xanadu, now showing at the Denver Center for the Performing Arts. Piper’s work directing, choreographing, and performing in Colorado has merited over a dozen awards and nominations. 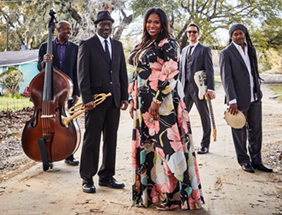 Sheryl Renee, known as the “Lady with the Golden Voice,” moves effortlessly between music genres and artistic avenues. Her voice can be heard on CD projects and with bands. Her career highlight was performing the national anthem for President Barack Obama. Sheryl has produced stage shows, television, and was a radio talk show host on "Making a Way with Bargain Queen Sheryl Renee" on KUHS Denver. 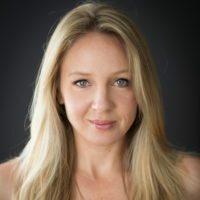 Along with marketing and promotions, this award-winning actress has been in 38 theater productions to date, as a lead, ensemble, playwright, director and props designer. She was most recently on the LTAC stage in Home for the Holidays. Karen Jeffreys has crooned her way across the country in several productions of My Way: A Tribute to Frank Sinatra (Pittsburgh CLO, Ocean State Theater Co., Laguna Playhouse). She also sailed the ocean for four years as a vocalist for Crystal Cruises. Now residing in Denver, she has been seen on the local stage in Camelot (Arvada Center), Winter Wonderettes (Pagosa Springs Center for the Arts) and Reunion ’85, South Pacific in Concert, and Home for the Holidays(Lone Tree Arts Center). 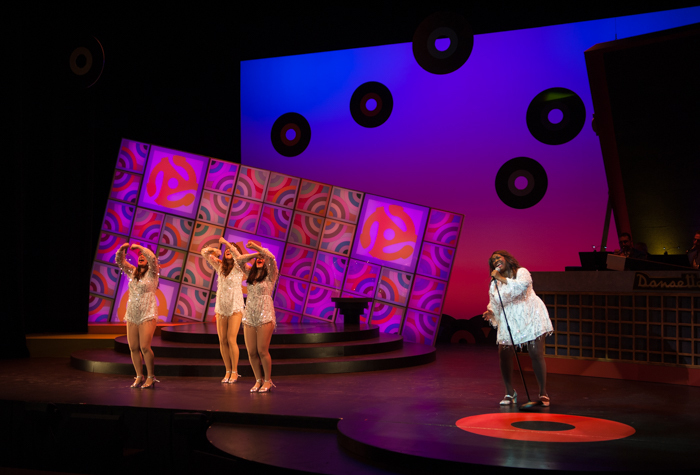 Karen began her career in Erie, PA under the tutelage of the Erie Playhouse Youth Theater program, which prepared her for her first professional tour as lead vocalist for Up With People. Melody Moore is a recent NYC to Denver transplant with her chef hubby and two musical little boys. Melody has performed in numerous off Broadway shows, regional theater, summer stock, national tours and a sprinkling of TV and movie work. Some favorite roles include Millie in Thoroughly Modern Millie, Queenie in The Wild Party and Hermia in A Midsummer Night’s Dream. Valerie Igoe is making her Lone Tree Arts Center debut. Recent credits include Annie (Lily St. Regis), The Full Monty(Estelle), Rock of Ages (Regina) and 42nd Street (Gladys). 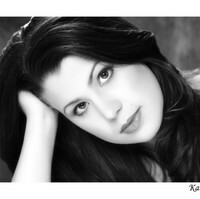 Valerie has a BFA in Musical Theatre from Nebraska Wesleyan University. Shannan Steele is a Denver-based actor. Recent credits: Denver Center Theatre Company: A Christmas Carol, Sweeney Todd, Animal Crackers; Denver Center Galleria Theatre: I Love You, You’re Perfect, Now Change, The Last Five Years, My Way, The Taffetas. 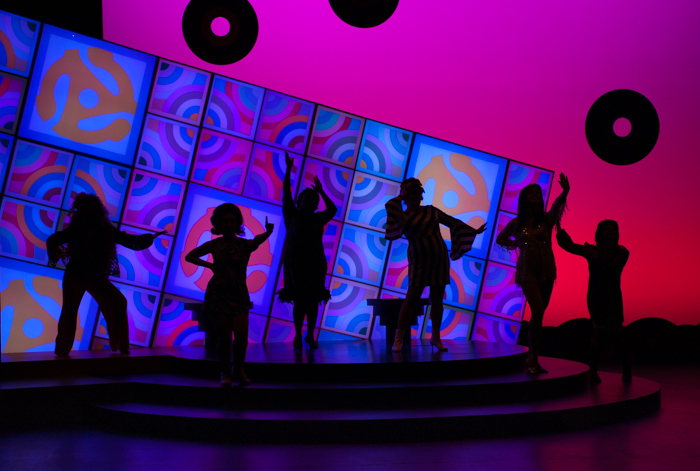 26 productions at The Arvada Center including Mamma Mia! (Donna Sheridan), Tarzan(Kala) and The 1940’s Radio Hour (Ginger Brooks). Other roles include Roxie Hart in Chicago for Breckinridge Backstage Theatre Company and Sarah in Murder Ballad for The Edge Theatre. Shannan was last seen at LTAC in Evita and Reunion ‘85. She is currently directing Oliver! for The Candlelight Dinner Playhouse. Candy Brown is an accomplished actress on stage, television, and film. Candy began her professional career in musical theatre under the tutelage of legendary Broadway directors, choreographers, and performers too numerous to list but who include mentors Bob Fosse and Hal Prince. As a proud member of Actors Equity, some of her Broadway shows are Pippin, Chicago, Grind, Purlie, and Hello, Dolly!, and she was an original participant in the history making workshop of A Chorus Line. Her first visit to Denver was in the first national tour of Applause with Eleanor Parker in the role created by Bonnie Franklin. 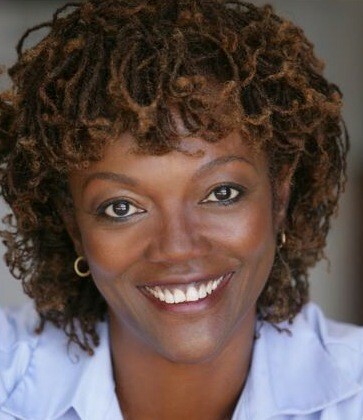 As Candy Brown Houston, a proud member of the Screen Actors Guild, she has appeared in numerous television commercials, television programs (NYPD Blue, Chicago Hope, CSI:Miami, Sister, Sister, etc) and films including Ali where she played mother to Will Smith’s Muhammad Ali. She has worked extensively in regional theaters around the country. Since relocating to Denver, Ms. Brown has performed at the Denver Center for the Performing Arts, Curious Theatre Company, Local Theatre Company, the Telluride New Playwright Festival, and recently performed in Love Letters at the Lone Tree Arts Center. She directed and choreographed Once on This Island for the Aurora Fox Theatre as well as choreographing Big River, with Randal Myler directing, at the Lone Tree Arts Center. She has also been teaching and choreographing for the Denver School of the Arts Theatre Department. Candy holds a BA in Performing Arts from St. Mary’s of California, Moraga. Dr. Michael Williams has been Music Director and Keyboardist for many shows, including The Christians, Lady Day at Emerson's Bar & Grill (DCPA); A Brief History of White Music (Vogue); Suite Moses, Amistad III(Grand Design) (Aurora Fox); Sisters and the Storytellers (Black Swan) (Denver Civic Center); Dinah Was, Smokey Joe's Cafe(Shadow Theater); Rhapsody In Black, Southlands, Uncle Jed’s Barbershop (Cleo Parker Robinson Dance Theater); and Gospel At Columbus (The Source Theater).